- NWA Great American Bash '86 (July 5) = Cornette & the Midnight Express lost a "Steel Cage" Match to Dusty Rhodes, Magnum TA, & Baby Doll. 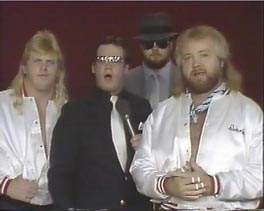 - NWA Great American Bash '86 (July 26) = Cornette & the Midnight Express lost a "Steel Cage" Match to Baby Doll & the Road Warriors. 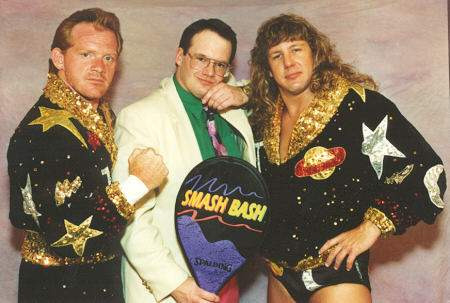 - NWA Great American Bash '89 (July 23) = Cornette won a "Tuxedo" Match over Paul E. Dangerously. - OVW Crusade Slamfest '04 (February 7) = Cornette & Johnny Jeter defeated Mark Magnus & Nikita. - RoH All-Star Extravaganza II (December 4, '04) = Cornette had a "Managerial Debate" with Bobby "The Brain" Heenan. 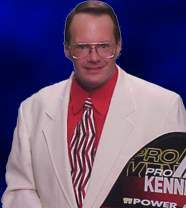 - RoH Philadelphia Show (October 2, '05) = Cornette was named the new Commissioner of Ring of Honor.